equilibrium sense | O’HARA & CO.,LTD. On this apparatus, weaving a wire-mesh which diameters is the subject can grip easily but it cannot grip more than several minutes, is set in the caracoling ceiling of chamber. 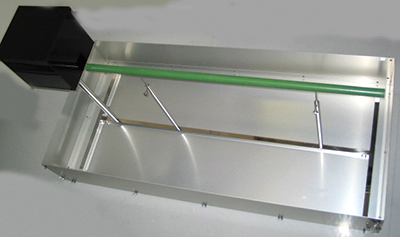 The chamber is designed to prevent subject from falling because it tried to escape. 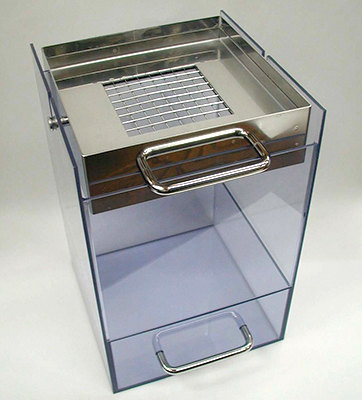 Drawer case is equipped on bottom of the apparatus that prevents the subject from escaping after falling from the wire-mesh. When you take out subject from apparatus, pull the drawer case.